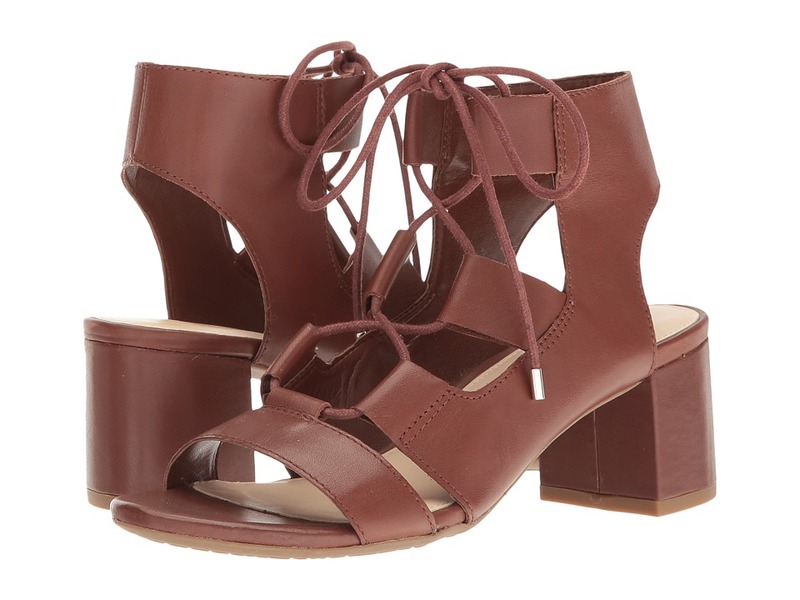 Perfect your contemporary ensemble with the Nine West Serrah sandal. Leather upper. Lace-up design. Open toe. Man-made lining. Lightly padded footbed. Wrapped block heel. Man-made outsole. Imported. Measurements: Weight: 9 oz Product measurements were taken using size 7.5, width M. Please note that measurements may vary by size. Weight of footwear is based on a single item, not a pair. 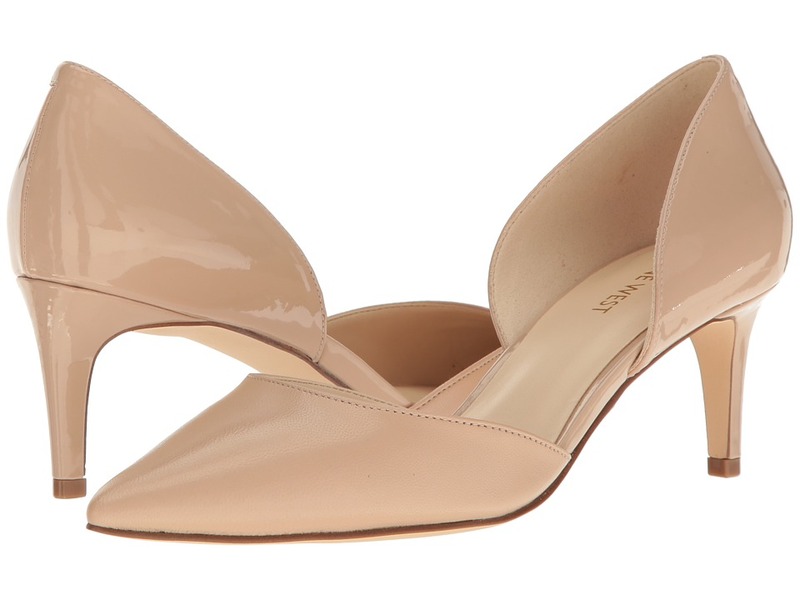 Maintain your timeless appeal with the versatile Solis d~Orsay pump. Available in a variety of uppers. Slip-on design. Pointed-toe silhouette. Side cut-out detailing. Man-made lining. Lightly padded footbed. Wrapped heel. Man-made sole. Imported. Measurements: Heel Height: 2 1 2 in Weight: 7 oz Product measurements were taken using size 8.5, width M. Please note that measurements may vary by size. Weight of footwear is based on a single item, not a pair. Take your style to bold new heights when you make the streets your runway in the Nine West Tyler pump. Available in a variety of upper materials. Slip-on design. Round toe. Man-made lining. Lightly padded footbed. Wrapped heel. Man-made sole. Imported. Measurements: Heel Height: 4 1 4 in Weight: 10 oz Platform Height: 3 4 in Product measurements were taken using size 8, width M. Please note that measurements may vary by size. Weight of footwear is based on a single item, not a pair. 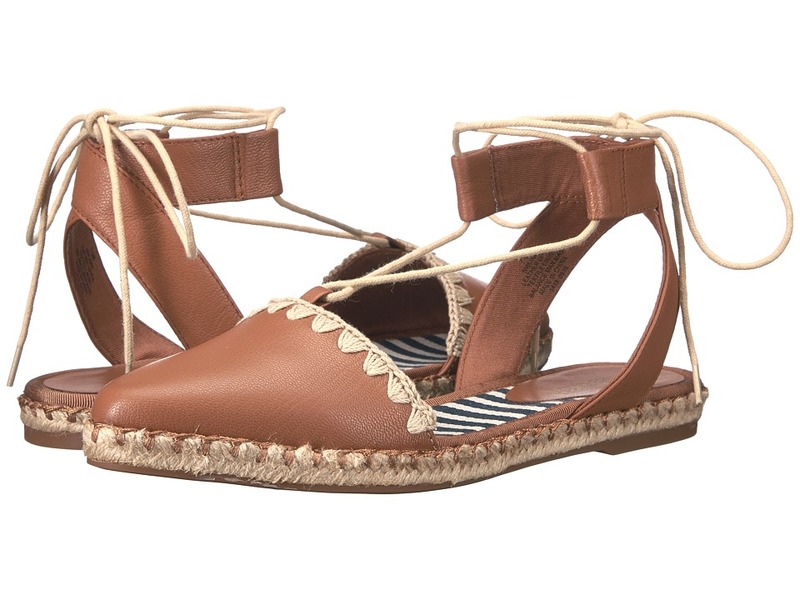 Give your modern style some boho-chic appeal with the Nine West Unah espadrille flat. Available in a variety of upper materials. Wraparound laces with tie-up closure. Almond toe. Man-made lining. Lightly padded footbed. Jute-wrapped midsole. Man-made outsole. Imported. Measurements: Heel Height: 1 in Weight: 6 oz Platform Height: 1 2 in Product measurements were taken using size 8, width M. Please note that measurements may vary by size. Weight of footwear is based on a single item, not a pair. Flaunt your stunning night-out ensemble with the Nine West Essen sandal. Suede upper. T-strap with buckle closure. Peep-toe silhouette. Pom pom accent at toe. Man-made lining. Lightly padded footbed. Wrapped heel. Man-made outsole. Imported. Measurements: Heel Height: 4 in Weight: 9 oz Product measurements were taken using size 8, width M. Please note that measurements may vary by size. Weight of footwear is based on a single item, not a pair. Allure your onlookers with the stunning Nine West Inesia peep-toe pumps. Suede upper. Ankle tie-up closure. Peep-toe silhouette. Man-made lining. Lightly padded footbed. Wrapped heel. Man-made outsole. Imported. Measurements: Heel Height: 3 in Weight: 6 oz Product measurements were taken using size 5, width M. Please note that measurements may vary by size. Weight of footwear is based on a single item, not a pair. 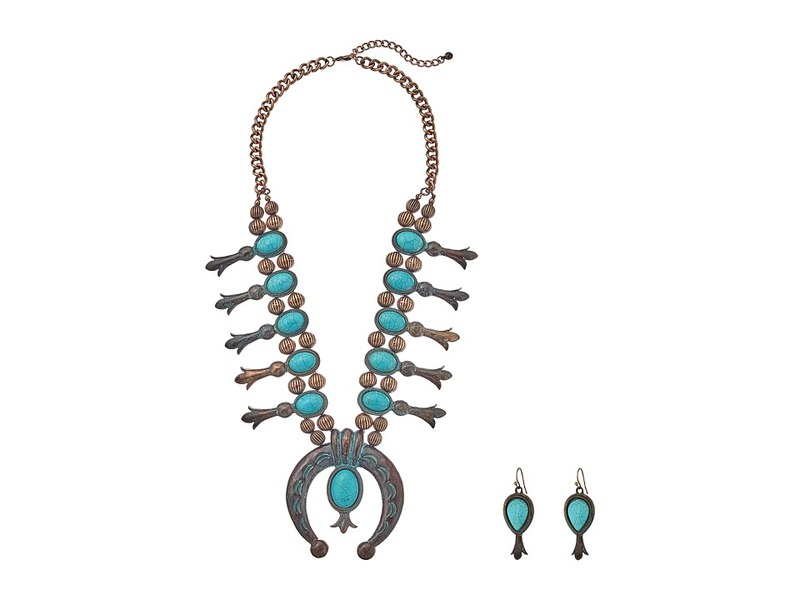 You will love the feminine and authentically Southwestern look of the Etched Squash Blossom Necklace/Earrings Set from MF Western. Earrings: Silver-tone earring with turquoise stone and tooled silver-tone concho. Stud backing. 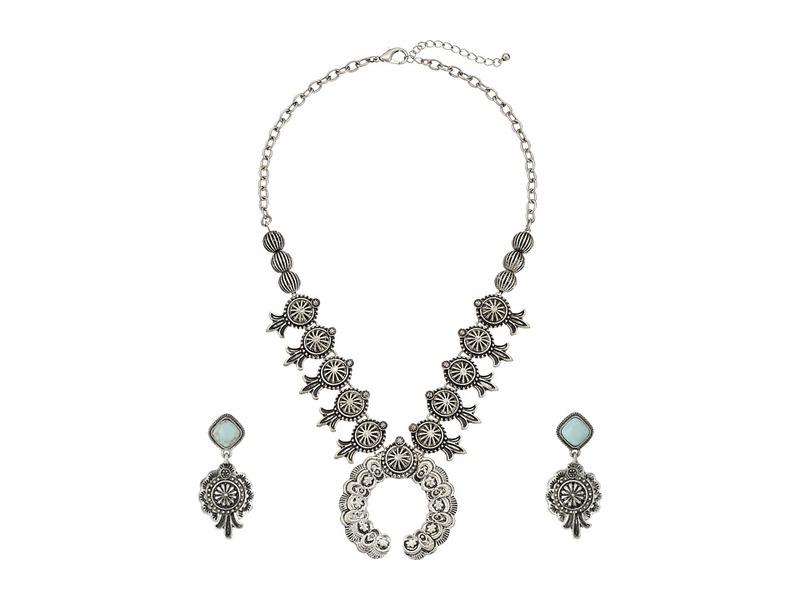 Necklace: Silver-tone chain necklace with concho accents. Features a large silver-tone squash blossom pendant with intricate tooling detail. Lobster claw closure. Imported. 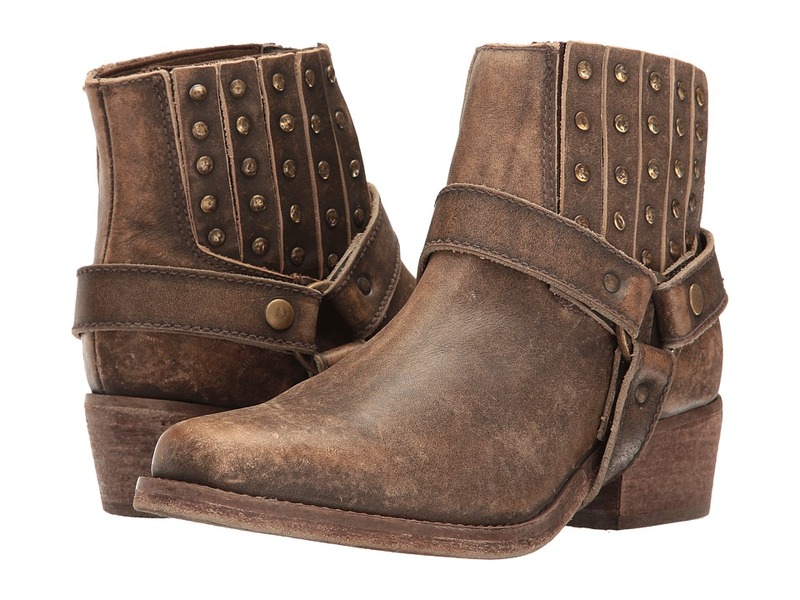 The Xichu boot from Old Gringo offers a ruggedly feminine style that is ideal for the modern cowgirl. Distressed leather upper with burnished finished. Smooth leather lining offers an incredibly comfortable next-to-skin feel. Cushioned leather insole for all-day comfort. Scoured, stacked leather heel. Leather outsole with a rubber heel tab for excellent traction. Old Gringo&amp#174 boots go through a 250-step handmade production process. Old Gringo&amp#174 also develops and tans its own leathers and textures to make sure the end result is a super high quality product. Imported. Measurements: Heel Height: 2 1 4 in Weight: 1 lb 3 oz Circumference: 14 in Shaft: 13 in Product measurements were taken using size 9, width B - Medium. Please note that measurements may vary by size. Weight of footwear is based on a single item, not a pair. 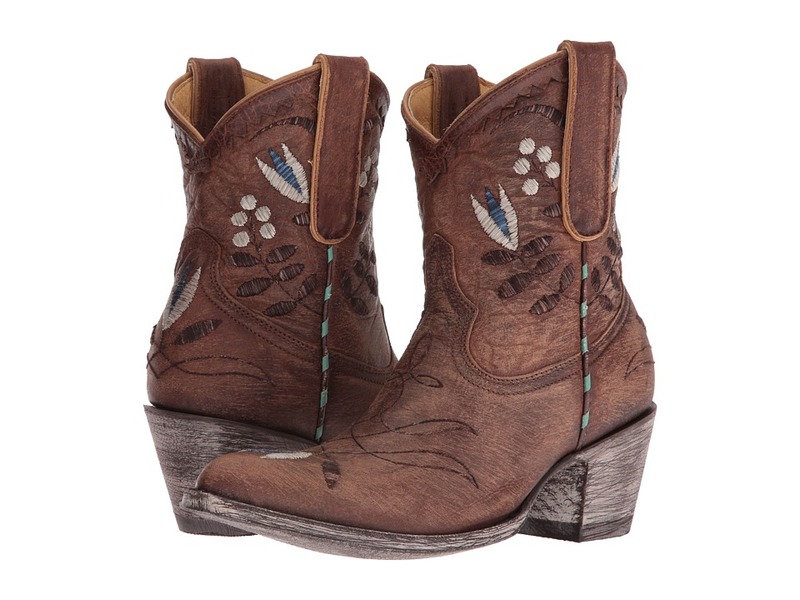 The ruggedly feminine Amitola from Old Gringo offers a beautifully feminine look to a traditional cowgirl boot. Please note: The Oryx color is a shorter version of this style with an 6-inch shaft and a 2-inch heel. Scoured leather upper with embroidered floral details. Soft leather lining offers an incredibly comfortable next-to-skin feel. Cushioned leather insole for all-day comfort and underfoot support. Scoured leather and rubber outsole. Old Gringo&amp#174 boots go through a 130-step handmade production process. Old Gringo&amp#174 also develops and tans its own leathers and textures to make sure the end result is a super high quality product. Imported. Measurements: Heel Height: 1 in Weight: 1 lb 2 oz Circumference: 13 in Shaft: 10 in Product measurements were taken using size 8, width B - Medium. Please note that measurements may vary by size. Weight of footwear is based on a single item, not a pair. Add some feminine aesthetic to your trendsetting ensemble with the Nine West Zaydah flat. Leather and suede upper materials. Ankle strap with buckle closure. Almond toe. Crisscrossing straps at instep. Man-made lining. Lightly padded footbed. Man-made outsole. Imported. Measurements: Heel Height: 1 2 in Weight: 6 oz Product measurements were taken using size 8, width M. Please note that measurements may vary by size. Weight of footwear is based on a single item, not a pair. 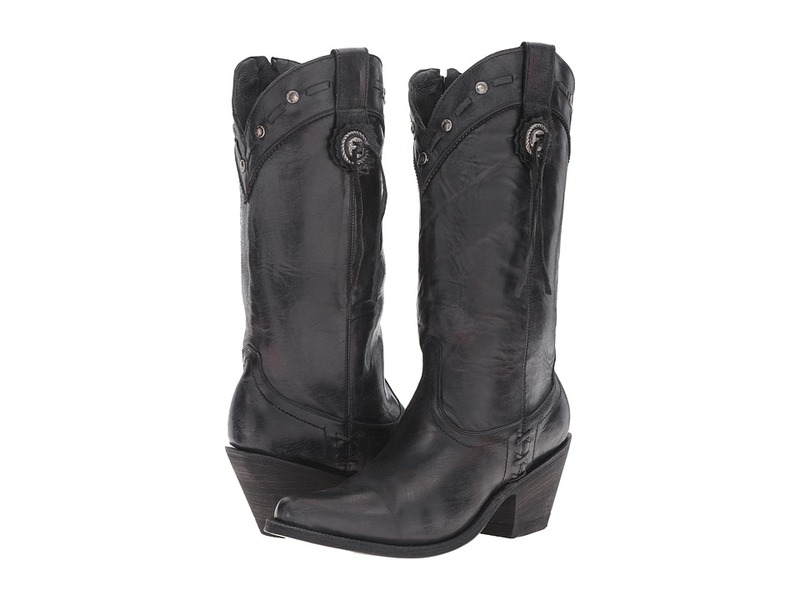 The sleek, feminine profile of the R1973 boot from Corral Boots will appeal to your cowgirl heart! Handcrafted leather upper with a distressed finish. 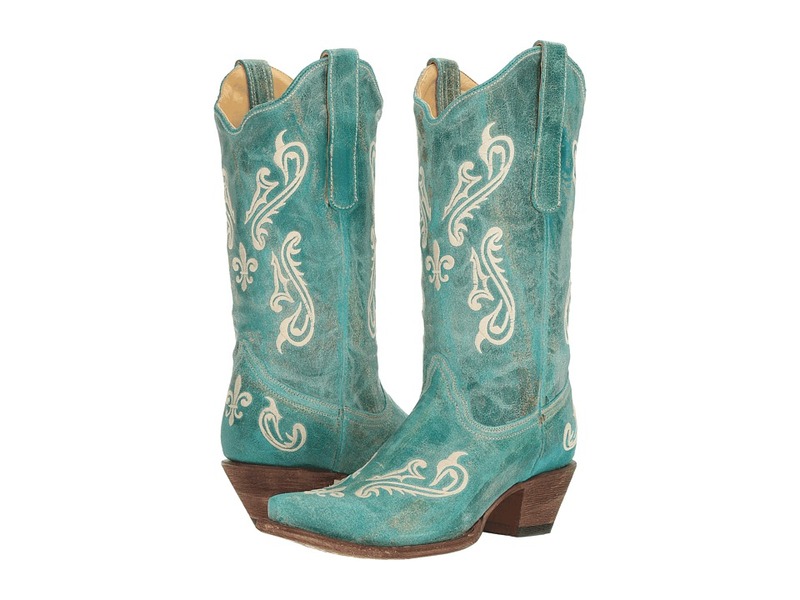 Features intricate Western floral stitching. Pull-on boot with sturdy side pull tabs for easy entry. Soft leather lining for a comfortable fit. Lightly cushioned leather footbed for all-day comfort. Snip toe. Scoured Western heel. Durable leather and rubber outsole for excellent traction. Imported. Measurements: Heel Height: 2 in Weight: 1 lb 9 oz Circumference: 15 in Shaft: 13 in Product measurements were taken using size 10, width B - Medium. Please note that measurements may vary by size. Weight of footwear is based on a single item, not a pair. 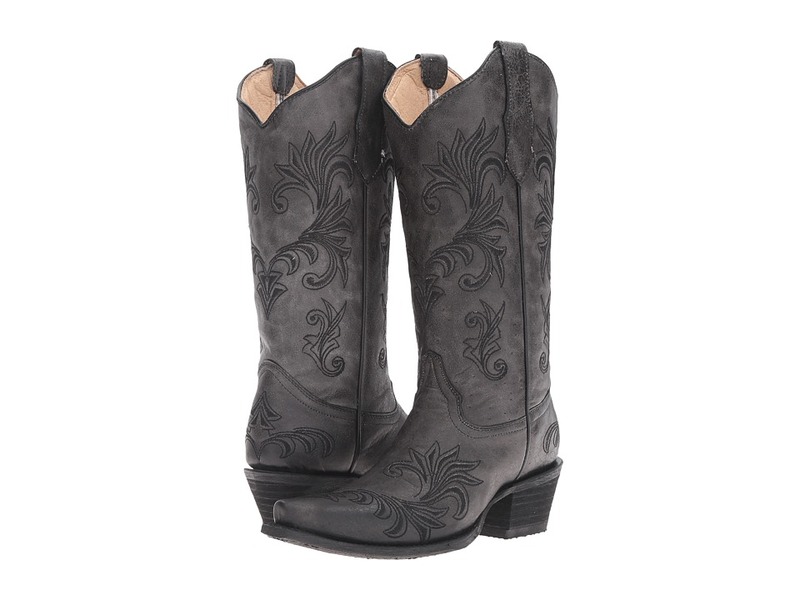 You will love the streamlined, feminine look of the L5142 boot from Corral Boots. Handcrafted leather upper. Features intricate Western stitching. Pull-on boot with sturdy side pull tabs for easy entry. Soft leather lining for a comfortable fit. Lightly cushioned footbed for all-day comfort. Snip toe. Stacked fashion heel. Durable rubber outsole for excellent traction. Imported. Measurements: Heel Height: 1 3 4 in Weight: 1 lb 2 oz Circumference: 14 in Shaft: 13 in Platform Height: 10 in Product measurements were taken using size 8, width B - Medium. Please note that measurements may vary by size. Weight of footwear is based on a single item, not a pair. 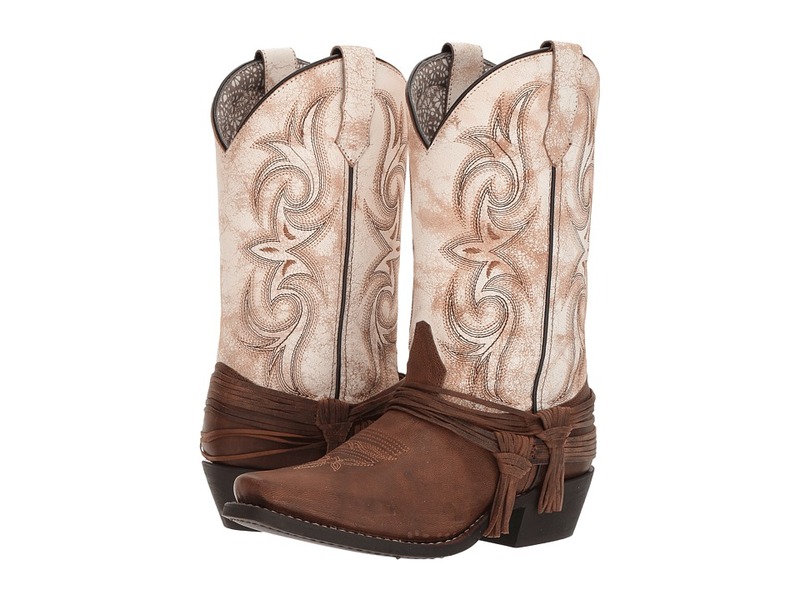 The L5148 boot from Corral Boots has a streamlined, feminine design that will appeal to your cowgirl heart! Handcrafted leather upper. 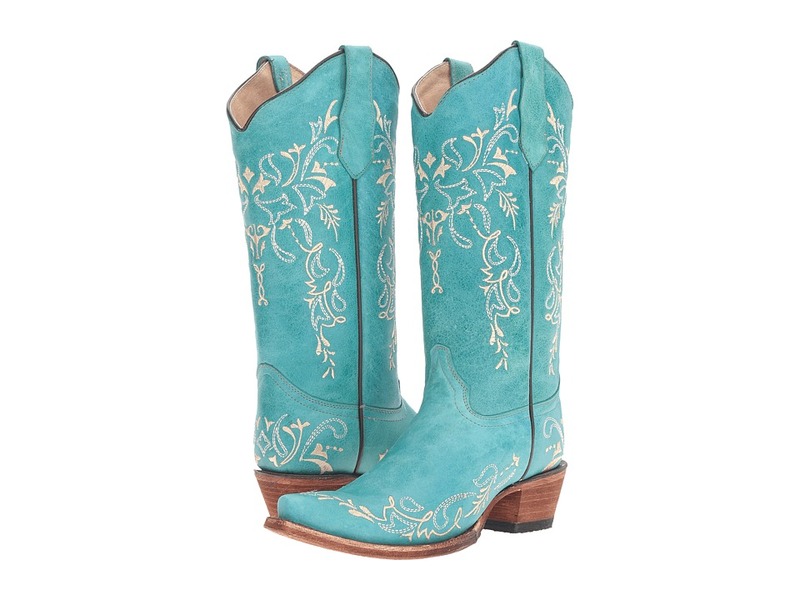 Features intricate Western floral stitching. Pull-on boot with sturdy side pull tabs for easy entry. Soft leather lining for a comfortable fit. Lightly cushioned footbed for all-day comfort. Snip toe. Stacked fashion heel. Durable rubber outsole for excellent traction. Imported. Measurements: Heel Height: 1 1 2 in Weight: 1 lb 3 oz Circumference: 13 in Shaft: 13 in Product measurements were taken using size 7.5, width B - Medium. Please note that measurements may vary by size. Weight of footwear is based on a single item, not a pair. The rugged feminine style and slim silhouette of the P5037 bootie from Corral Boots is perfect for both jeans and jeggings. Handcrafted leather upper with distressed detailing. Leather harness accent for a vintage Western look. Features side elastic gore behind studded leather panels for a secure yet flexible fit. Supple leather lining offers a great in-shoe feel. Lightly cushioned leather footbed. Square toe. Scoured leather heel. Scoured leather outsole with rubber heel tap. Imported. Measurements: Heel Height: 1 1 2 in Weight: 1 lb 2 oz Circumference: 10 in Shaft: 6 in Product measurements were taken using size 8.5, width B - Medium. Please note that measurements may vary by size. Weight of footwear is based on a single item, not a pair. The Laredo Myra boot has a gorgeous feminine style that will appeal to your cowgirl heart. Two-tone upper with white crackled leather shaft and brown leather foot. Features leather wraparound strap at ankle with double knot detailing. Pull-on style with leather pull loops. Printed textile lining for added style and breathability. Lightly cushioned man-made insole provides added all-day comfort. Snip toe. Rubber Western heel. Composite outsole for durable use. Imported. Measurements: Heel Height: 1 3 4 in Weight: 1 lb 4 oz Circumference: 14 in Shaft: 11 in Product measurements were taken using size 8.5, width B - Medium. Please note that measurements may vary by size. Weight of footwear is based on a single item, not a pair. Make a lasting impression with the stunning Nine West Sharmain pump. Suede upper. Back zippered closure. Soft, pointed toe. Ankle strap with studded detailing. Man-made lining. Lightly padded footbed. Wrapped block heel. Man-made outsole. Imported. Measurements: Heel Height: 3 1 4 in Weight: 11 oz Product measurements were taken using size 9, width M. Please note that measurements may vary by size. Weight of footwear is based on a single item, not a pair. Dare to show off your fierce style in the Nine West Aweso flat. Leather upper accented with metallic grommets. Crisscrossing ankle strap with buckle closure. Pointed toe. Decorative buckled straps over vamp. Man-made lining. Lightly padded footbed. Mini wrapped heel. Man-made outsole. Imported. Measurements: Heel Height: 1 2 in Weight: 8 oz Product measurements were taken using size 8.5, width M. Please note that measurements may vary by size. Weight of footwear is based on a single item, not a pair.